This coffee will be fresh roasted for you. 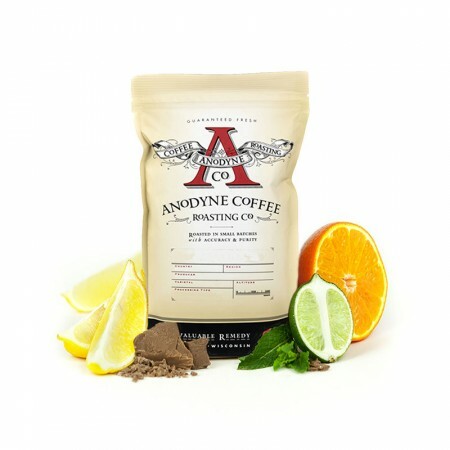 We expect Anodyne Coffee Roasting Co will roast and ship this coffee in 1-2 business days depending on their roasting schedule. The Guatemala ADISQUE was carefully roasted for you by Anodyne Coffee Roasting Co. This fully washed coffee was grown by the various small holder producers in the Quetzaltepeque, Chiquimila region of Guatemala between 1,500 - 1,600 meters above sea level. I definitely am still acquiring a palate and a sensitivity for coffee and noticing all that goes on inside of my mouth. What may help me now is to experience a wider range and some contrast so that I can begin to hone in on what it is that I prefer. Nutty and rich! Pretty positive experience. I found that brewing this with the pour over method brought at the best in this bean. I liked the Citrus taste to it, yet I felt that the chocolate flavor was too present for my liking. I love this coffee! Very rich flavor. So good! Favorite so far. Also really good, strong flavor, hit high on my pallet, but brewed thin with a pourover. I'll try again with a French press to see if that changes it's thickness.